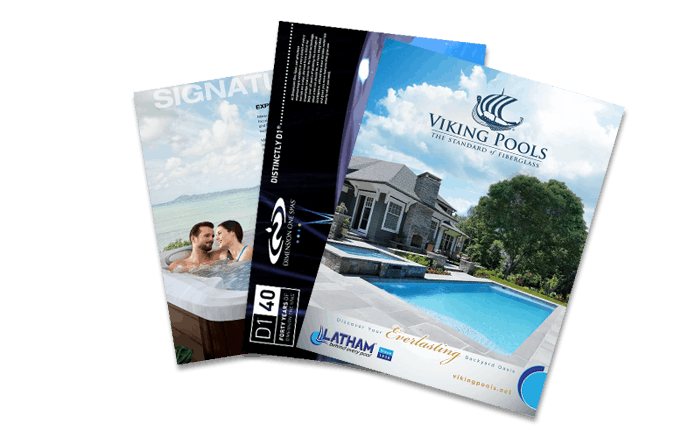 What needs to be done before you get your new hot tub or swim spa? You’ll need to check the local building codes, get a permit, and find out if you’re required to have any fencing or other precuationary measures to keep children and pets safe that happen to be roaming the neighborhood. Have your permit secured before you begin any preparation or construction on the spot. Next, you need an area large enough to put your hot tub or swim spa, and that needs to be sturdy enough to support the weight of a filled spa, which can weigh upwards of 3,000 pounds! A contractor can pour a concrete pad for your spa or reinforce your deck or sunroom so that it can hold the weight. Aqua Pools works with the industry’s top professionals to assure that your spa foundation not only meets local building codes, but is safe, secure, and properly set up. In addition to a secure spot to set your tub (make sure it has ample room to access the insides of the spa for service! ), an electrical connection needs to be run. This should only be done by a certified electrician, which Aqua Pools will be happy to arrange for you. Ideally, your special spa spot will have easy access to water, as well. If you’re situating the spa in the back of the yard, away from the home’s water spout, you’ll want to invest in a garden hose long enough to reach from your water connection to your spa. Try to situate your spa as far as possible from trees, because keeping the leaves out will be troublesome. Give plenty of clearance between your spa and any structures like fences or sheds, so that you can easily access it to change filters or if any service needs to be done. Once your concrete pad is cured, or your deck is sufficiently reinforced, your hot tub or swim spa can be delivered and installed in your yard! Aqua Pools is here to help and support you each step of the way.